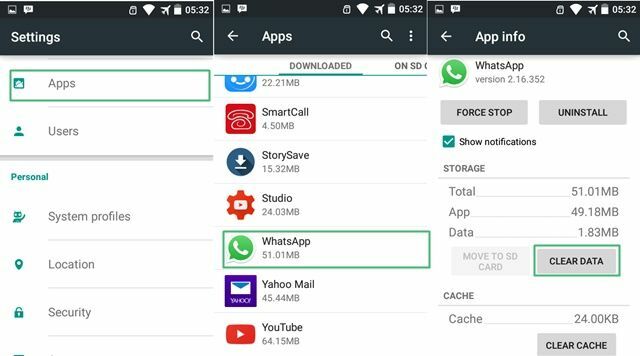 Android Reborn – If you own Android, you must have installed WhatsApp in it. Well, why not? This is one of the most popular chatting media you can install on Android after all. However, there are people who want to disable or deactivate it for a while. Here, let us tell you how to temporarily disable WhatsApp on Android. You don’t have to worry for you will not lose your account by following this procedure here. There is no need for you to lose your WhatsApp account if you just want to disable the WhatsApp. Before following this procedure though, we do suggest you to open unread messages in your account. The chats will be restored, but they might be gone when you try to sign into your account again if you keep them unread. Temporarily disabling WhatsApp account is not hard thing to do. All you need to do is to follow the steps we provide below. There are only some things you have to do. So, why not giving it a try then? Surely, it will help you disable WhatsApp without having to lose your account of it. Here we go. Go to the Settings on your Android. Then, it should do the job for you. Be sure to not Force Stop or uninstall it in the last step. That way, you will be able to successfully disable WhatsApp for the time being. If you want to open your account again though, you simply need to give your phone number and the contacts and chats should all be restored. See? It really is a piece of cake to work this procedure out. Isn’t that right?